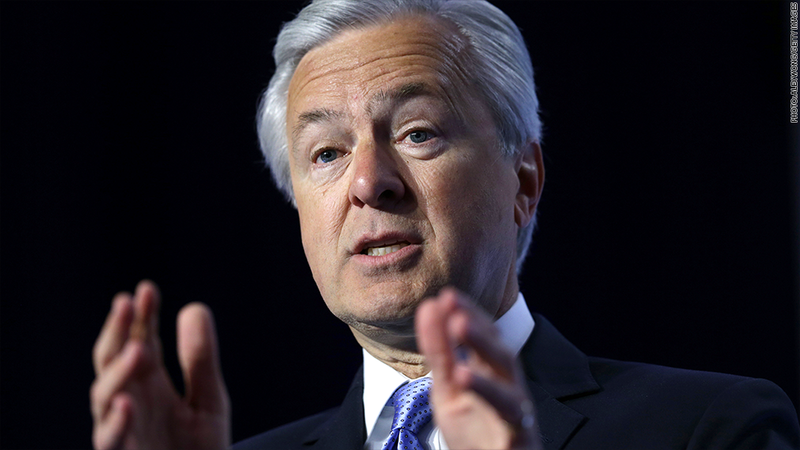 Another big state is sending Wells Fargo off to the penalty box. Ohio Governor John Kasich slapped a series of sanctions on Wells Fargo (WFC) and slammed the scandal-ridden bank for a culture "compromised by greed." "This company has lost the right to do business with the State of Ohio because its actions have cost it the public's confidence," Kasich said in a statement on Friday. - Kasich will try to exclude Wells Fargo from participating in bond sales by the Ohio Public Facilities Commission. In response, Wells Fargo said it "values the State of Ohio's business and will fight to earn it back." The bank noted that it contributed $1.1 million to Ohio nonprofits and schools last year. Wells Fargo was also recently sanctioned by California and Illinois as well. 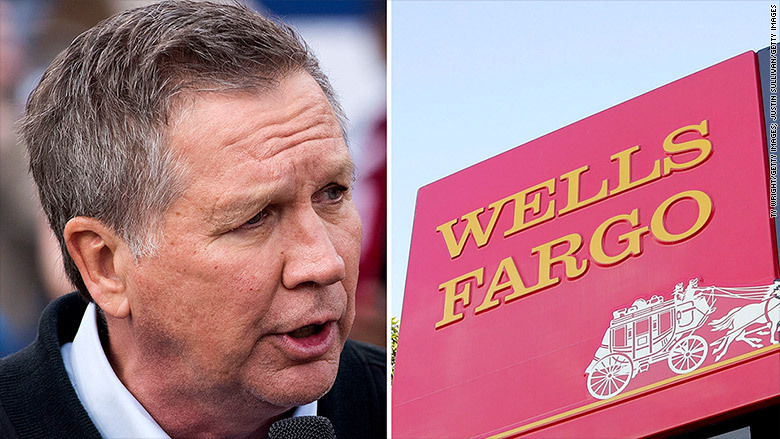 Kasich noted that while Wells Fargo has only a "limited retail banking" presence in his state, the company "regularly" seeks to do bond business with Ohio. Those deals -- and their lucrative fees -- will now go to other banks. Beyond the opening of unauthorized accounts, Kasich specifically cited the fact that "some employees who objected to the practices were penalized or fired." CNNMoney was the first to report about a half-dozen Wells Fargo workers who were terminated after calling the bank's ethics line. "We need to send a message to this company—and every other company—that the public must be respected, that ethical standards must be respected and when they're not it comes with a cost," Kasich said. The Ohio governor said he may revisit the decision in the coming year if Wells Fargo makes progress in "restoring a culture of integrity."